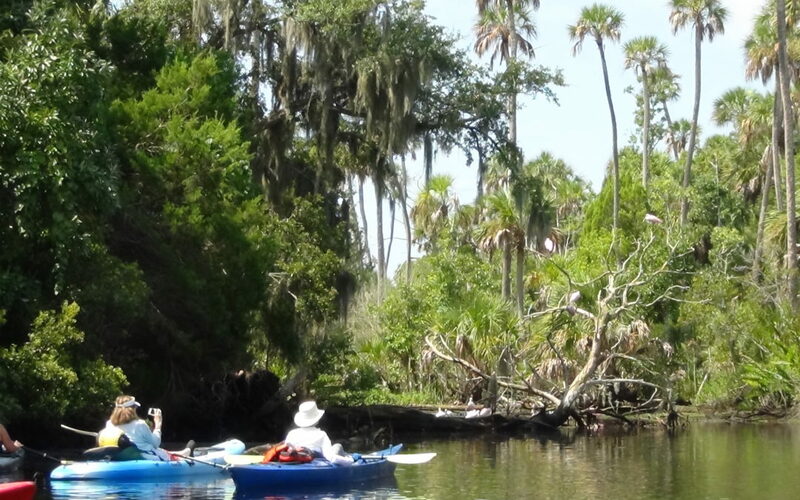 On this tour, we’ll be exploring the coastal waters near the mouth of Withlacoochee River. Exposed limestone on this part of coast makes interesting habitat under water and attractive terrain above. The meeting place for this trip is about 1 hour southwest of Gainesville, near Inglis (and Yankeetown). We’ll be meeting there at 10:00 A.M. The cost is $39 for “wanna go” members ($50 for others). With your own boat it’s $25 for members ($35 for non-members). 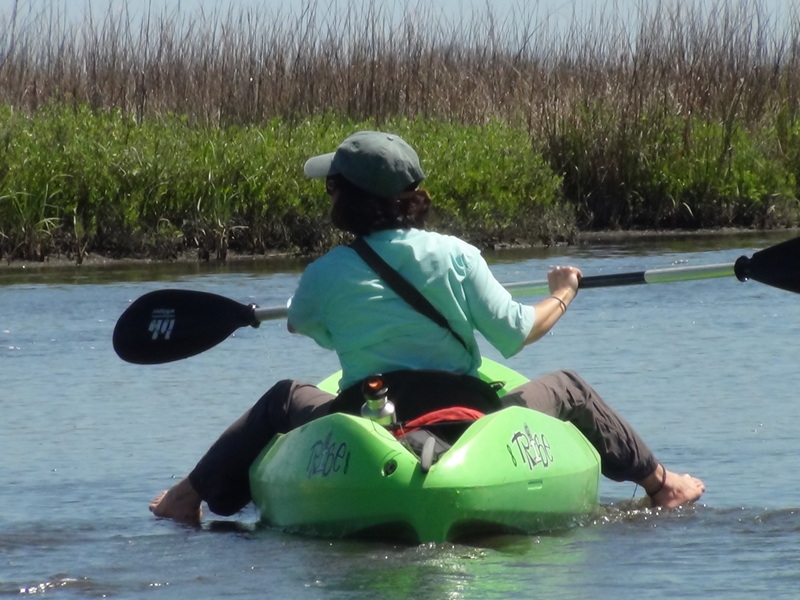 On this trip we’ll be paddling for about 3 – 3.5 hours on open coastal waters among saw grass marshes and scattered small islands. Some of these are higher shell midden isles with very interesting plant life. We’ll be stopping at a couple of small, higher islands where we’ll stretch, snack and check out some of the island flora. The mouth of Withlacoochee River and adjacent estuaries are excellent places to see loons, grebes (horned and pied-billed), mergansers (red-breasted and hooded) as well as the more common coastal species like white & brown pelicans, cormorants, anhingas, several species of gulls, sandpipers and plovers, black skimmers and a variety of herons (including some egrets). Dolphins and (less-commonly) manatees, cruise these waters. While we don’t do actual fishing tours here, some of our paddlers have been known to drop a line, as seen I the photo below (from a tour last month). Reds, sea trout, mangrove snapper and catfish like the one Melinda caught are some of the most commonly caught species in the estuaries. Poke along the beach of any small island in this swath of rugged, undeveloped coast area near the mouth of Withlacoochee River and you’ll likely find traces of the earlier people–natives and later settlers alike–who have called this area home. One especially interesting site is that of the long-abandoned town of Port Inglis, which we’ll explore on this tour (I was recently granted permission by the owners). The original community sprang up around a large sawmill that became an important lumber shipping port in the mid-1800’s. The harvest of Withlacoochee forests was in full swing and Port Inglis was ideally situated to convert rafts of huge logs drifted down the river into ship loads of neatly cut lumber bound for distant ports. But the real heyday for the town came with another industry–phosphate mining. When deposits of valuable phospahte were discovered in Florida in the 1880’s, speculators scrambled from across the nation to cash in on the boom. The lower Withlacoochee River Valley was found to have some of the largest deposits in the State and the tiny community of Dunnellon bloomed, practically overnight, into a full-blown boom town. Once again, the saw mill community at the river’s mouth found itself perfectly situated to capitalize on a boom. From the 1880’s to 1920’s, Port Inglis thrived off the phosphate industry. But boom towns are almost always ephemeral. They arrive on a high tide of exploitation and disappear just as fast when that industry vanishes on the outgoing tide. So it was with Port Inglis. 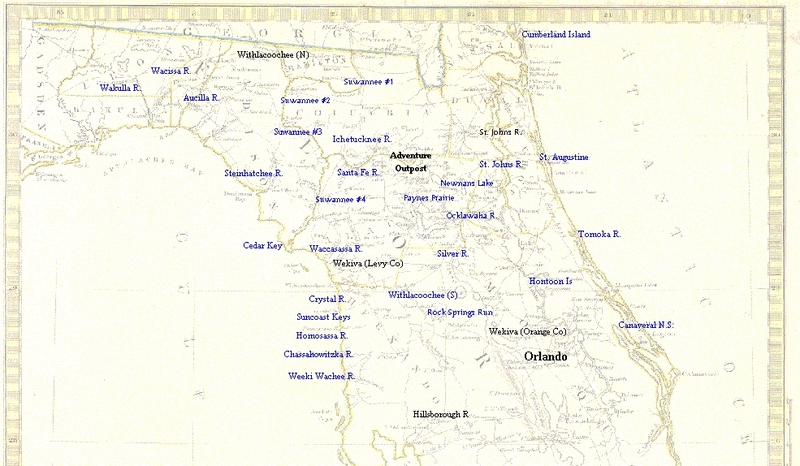 After World War I, with European markets gone and the discovery of easily-mined pebble phosphate further south in Florida, shipments stopped coming down the Withlacoochee. Port Inglis was gone with the tide. Today, only scattered bricks and masonry and remnant traces of foundations remain of this once-bustling seaport. This is usually relatively easy paddling. Winds are the main concern in this kind of environment. So, if it’s too windy, we won’t go. The trip length of 3.5 – 4 hours can be tiring for some, so this one isn’t recommended for anyone with strength or endurance issues.